Every year thousands of cranes arrive at Lake Hornborga (Swedish; Hornborgasjön) in Västergötland in Sweden as part of the spring migration. This has become an annual feast for bird watchers, who come from afar to experience this phenomenon. Most cranes gather at the “Trandansen” location in the south end of the lake. This is because of all the food, mainly grain, put out in this area in order to feed the birds. This is done to keep them away from the fields around the lake where they can be a burden to local farmers. At the same time creating a tourist attraction that is well worth checking out, and it is not only cranes that find the food appealing. Here are also a large number of swans, ducks and geese. 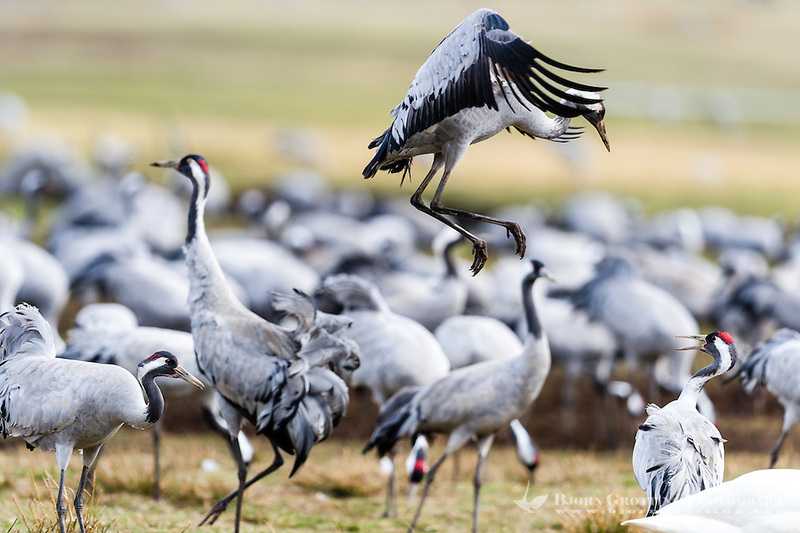 This year the cranes arrived record early, and the number was 23000 at the most. 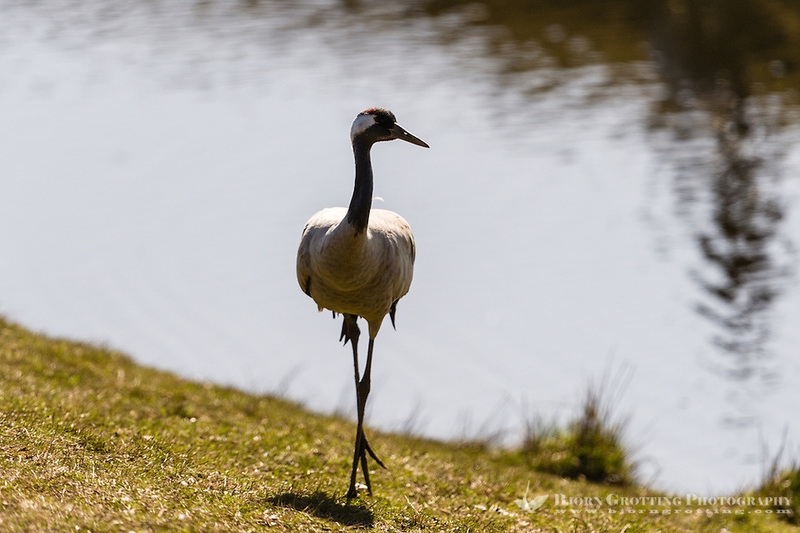 I had planned my visit there to be on April 13, 10 days after the peak, so I was afraid there was no cranes left. Luckily for me the weather was still rainy and windy and as many as 4,000 still remained when I pulled into the parking lot. The next day however was sunny and the number quickly fell to 2,000. With the sun comes the favorable winds, and two days later the crane season 2014 at Hornborgasjön was officially declared to be over. 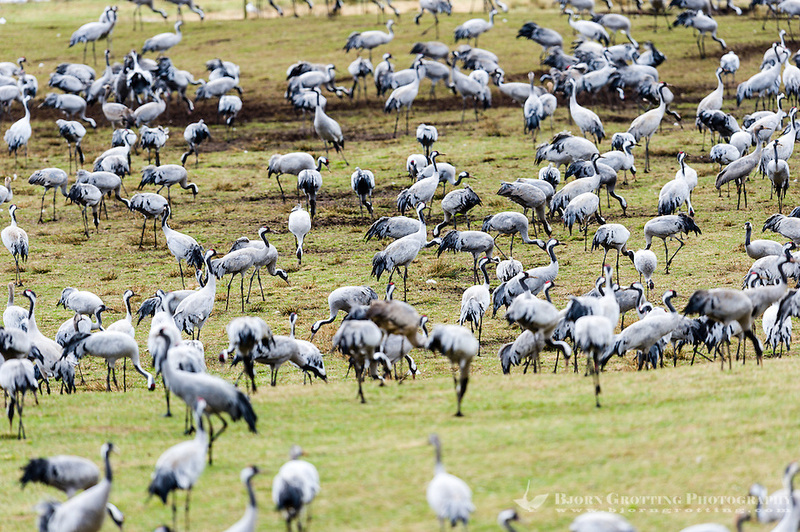 All in all I was happy, next time I’ll try to get there when there are 20000 cranes present. 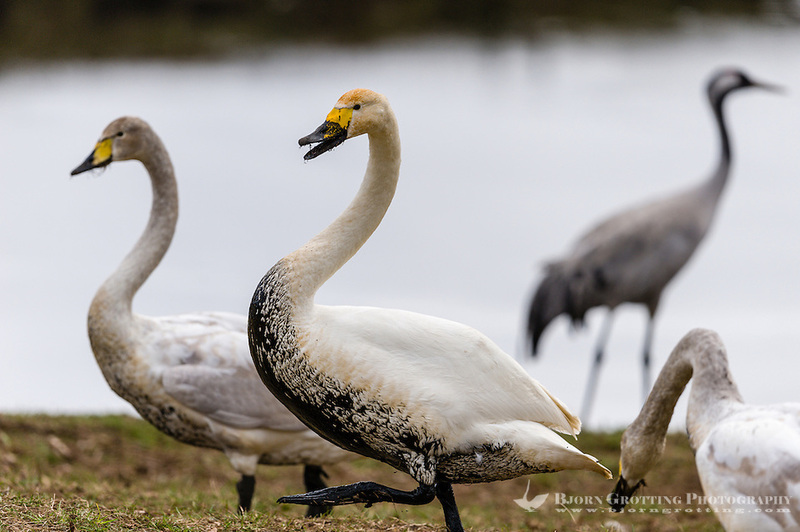 Besides, there are many other things to look at in the area surrounding the Hornborgasjön lake, which is a nature reserve with abundant bird life all year round. 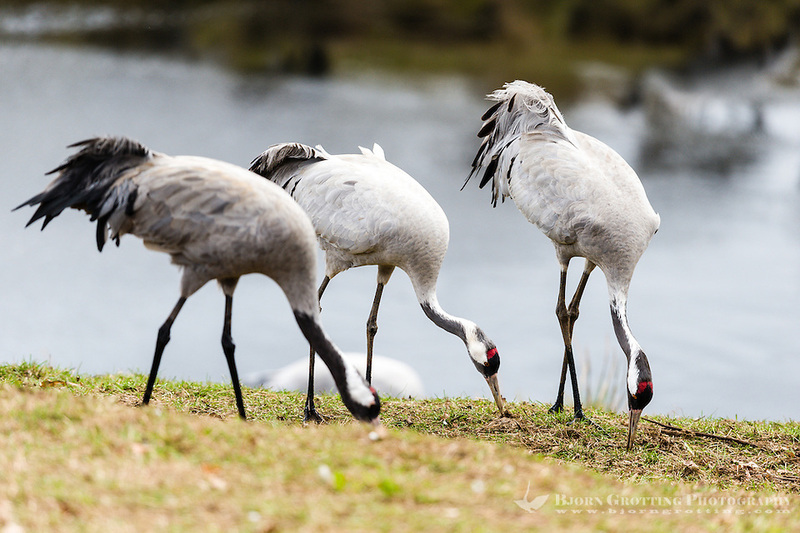 There are several species of crane, these are Common cranes (Grus grus), one of only four crane species not red-listed and one of only two species commonly found in Europe. They have migrated from as far as North-Africa, and this is just a quick stop on their way to breeding locations around Scandinavia. 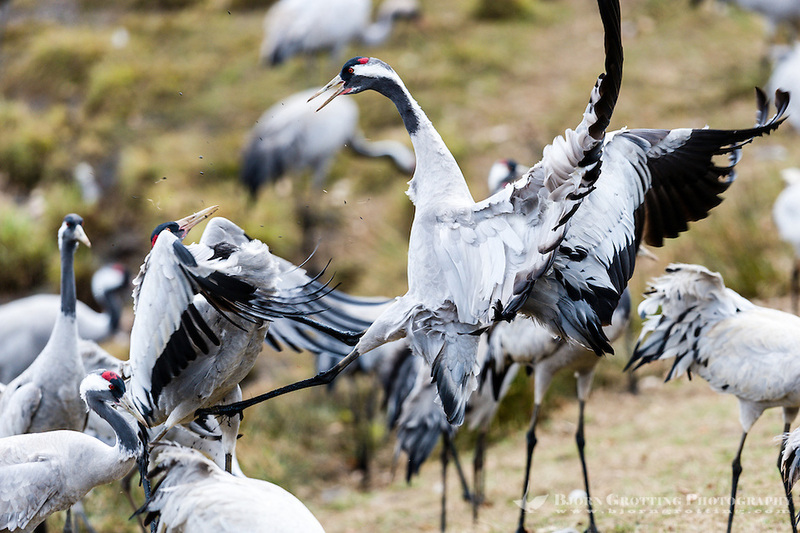 Click to see more photos of the bird life around Lake Hornborga.